The public-service commercial radio station for the island is Manx Radio. Manx Radio is part funded by government grant, and partly by advertising. There are two other Manx-based FM radio stations, Energy FM and 3 FM. BBC national radio stations are also relayed locally via a transmitter located to the south of Douglas (Carnane), relayed from Sandale transmitting station in Cumbria. Classic FM is also broadcast from the transmitter. Manx Radio is the only local service to broadcast on AM medium wave. No UK services are relayed via local AM transmitters and no long wave stations operate from the Island. BBC National DAB is available from the Carnane transmitter near Douglas on block 12B. There are also BBC DAB transmitters at Ramsey and Port St Mary. Digital One can be received from the Morecambe Bay transmitter on block 11D. A larger aerial may be required. Sound Digital can be received from the Morecambe Bay transmitter on block 11A. A larger aerial may be required. For fringe or weaker signal areas such as the Isle of Man, a DAB 3 Elements Aerial would be recommended. DAB Aerials are mounted horizontally or vertically depending on the transmitter being received. All DAB aerials mount on a vertical pole up to 3.81 cm (1.5 inch). They can be mounted internally usually in a loft or externally depending on the signal level and distance from the transmitter. 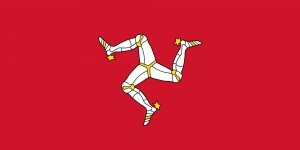 3FM Isle of Man radio station with more music, news and island info on 104-106 FM and online. In October 2004, the microphone opened and 3FM went live to the Isle of Man for the first time, delivering a popular new radio service to the Island. Since that day the station has not looked back, building a winning formula for listeners and advertisers. 3FM, passionately believe that the Island deserves a dedicated radio service that recognises the need to provide listeners not only more music but ‘the Island’s essential news and information’. 3FM provides this much needed radio service; offering a distinctive listening alternative to other local and UK stations. 3FM is built on the simple philosophy of a great product, great ideas and service centred around great people who focus on doing the simple things well with care, consistency and passion, and a genuine commitment to standards. Energy FM (Bree FM) is an Isle of Man based radio station which started broadcasting in 2001. The station plays a range of music from the 80s up to the present day, with specialist music shows such as ‘Floorfillers’ and ‘Clubland Classics’. Energy FM broadcasts from the Isle of Man on 98.6, 91.2, 93.4, 98.4, 102.4, 105.2 FM and online via the website energyfm.net and UK Radioplayer. The FM signal can be heard as far away as north Wales, southern Scotland, west Lancashire, and the east of Northern Ireland. The transmitters are licensed and nominally owned by the Department of Home Affairs. Energy Radio is responsible for the operation and maintenance of these transmitters. Energy FM is a local radio station in the Isle of Man, providing music and local news for a family audience. Energy FM is licensed by the Isle of Man Communications Commission under the Broadcasting Act 1990. Energy FM started broadcasting on 27 July 2001 and was originally licensed for two years to provide a service aimed at a young audience, playing a mixture of chart and dance music. When the licence was renewed in 2003, the station format was redesigned to appeal to a more mainstream audience with the inclusion of news, sport and local action programming. The music policy was also changed to focus on a ‘hits’ format, but still retaining some elements of special programming outside peak hours. Manx Radio, (Radio Vannin) is the national commercial radio station for the Isle of Man. The station began broadcasting on 29 June 1964, almost ten years before commercial radio was licensed in the United Kingdom. The Isle of Man, having its own government and laws, was not subject to the rules prohibiting commercial broadcasting in the UK. However, the Manx Government still had to apply to the UK’s General Post Office for a frequency and for permission to broadcast. First requested in 1960, a licence was eventually, and somewhat begrudgingly, granted. The station was allocated an FM frequency of 89.0 MHz and a comparatively low power. In October 1964, an additional frequency of 1600 kHz AM was allocated to the station to provide greater coverage. Manx Radio broadcasts mainly in English with a few hours a week devoted to broadcasting in Manx. Manx Radio broadcasts on 1368 kHz AM to the whole island; 89.0 MHz (from Snaefell) for the north of the island; 97.2 MHz FM (from Douglas/Carnane) for the south of the island; and 103.7 MHz (from Jurby) for the island’s hills. An additional low-power transmitter covers Ramsey on a frequency of 89.5 MHz. During the Isle of Man TT races, the 1368 kHz frequency becomes Manx Radio TT, providing news and results on the races. From May 2012, Radio TT is to be re-branded as Manx Radio TT 365. This is to signify that the station will be available to listen to throughout the year via the internet.